Kingsnake.com - Herpforum - I have no idea, Do you?? I have no idea, Do you?? O.k. 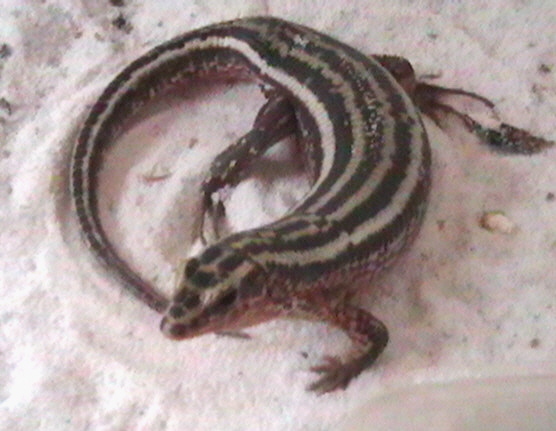 I know he is definatly not a 5 Line or a Broad Headed Skink. He only eats insects (meal worms, crickets, etc.) He spends most of his time buried under his calcium sand substrate. And he is fast as hell. If anyone has an idea please send it my way.